You might know that Father’s Day was first introduced in 1910 as a way to complement Mother’s Day and to celebrate fatherhood and male parenting. 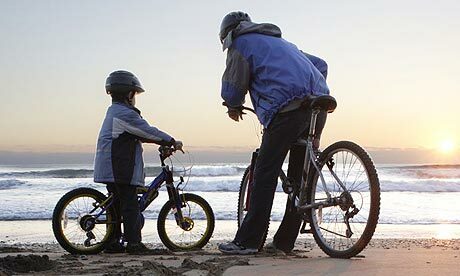 The majority of countries honour their dads on the third Sunday of June. If you are in USA, UK, Canada or other places from the list below, you have 5 days to decide how to spend this year Father’s Day, who to congratulate and what to buy as a gift. Father's Day 2012 Source: wikipedia.org / Click on the image to enlarge it. Who to acknowledge on Father’s Day? The long list doesn’t necessarily mean you should reserve your whole month’s salary on gifts. 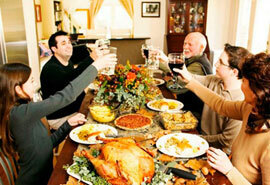 Decide about the presents according to your relationship with every family member. Your dad and stepdad (assuming you are close) should probably get the most substantial gifts and you should aim at meeting with them on the day. To make your husband happier, you can highlight the morning with good old breakfast in bed. It is a good idea to encourage your children to buy or even better make him gifts and greeting cards. If you are separated with the biological dad of your children, it should not stop your kids from expressing their love for his father. Also, if your child is close to both his or her dad and stepdad, be very supportive and help them to buy a present for each. A child must never choose sides between a birth parent and a stepparent. If you date a guy who has children (perhaps a single dad) he will probably prefer to spend this day with his kids and you should give him the space he needs (unless of course he invites you to participate in the celebration). We suggest to skip gift giving, as this might put pressure on the relationships. In case the guy is older than you, any presents might seem plain weird. With this in mind, you should still consider doing something nice for him around the holiday. Invite him to a movie several days before or after Father’s Day and simply give him your regards on the actual day. When selecting a present remember that a great gift should be surprising and at the same time should show that you know the receiver well. Always consider the personality of the recipient and remember that men often prefer practical gifts. Look for something that will inspire him. For example, if your father is a big fan of reading, buy him an e-reader or a tabler, or perhaps a membership to Book club. How to spend Father’s Day? Backyard barbeque party might be just the best way to get everyone together. Don’t forget to ask your guest of honour’s input on the guest list and menu items. 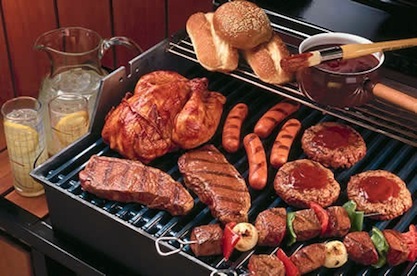 When it comes to barbeques plastic and paper are perfect table settings. Finger foods go well with plastic utensils and paper plates and you won’t need to spend next day cleaning the dishes. If you feel that’s not enough, consider preparing a toast for the occasion. Think about a special memory or experience. For the toast to sound smooth it should be prepared in advance and even rehearsed. In case you are looking for a special dish, take a look at the “finger lickin’ good” barbecue rib recipe by Diane Gottsman. We wish you a great Father’s Day with lots of joy and fun! As always, if you have any questions or suggestions, please leave us a comment below!